Trading from a site that has housed a roofing merchant in Swansea for the past 30 years, Casey’s Roofing has become the number one supplier for all specialist roofing materials and equipment in South West Wales. 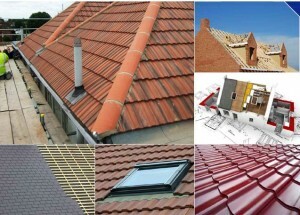 Casey’s Roofing stock roofing products from brand leaders such as Marley Eternit, Redland, Iko, Timloc, Klober and Knauff – as well as many other quality brands. With experienced and highly trained staff who have worked for many years in the trade, you can be confident of getting the right advice and products for your job every time. High stock levels and next day delivery to your site means that you can get on with your job – confident that Casey’s Roofing will be there when we say we will. Part of the LBS Group of Companies, Casey’s Roofing is available through any of the award winning 11 LBS Builders Merchants located across South West Wales.